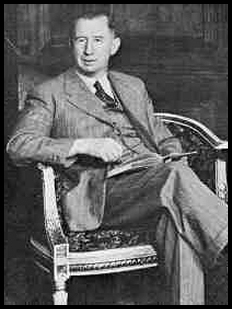 At his recent lecture on the engineer and author Nevil Shute, the Revd. John Wilcox mentioned Shute's work on the airship R100. A member of the audience asked how the large quantity of hydrogen required was produced. Subsequently, John Wilcox investigated this topic, obtaining on loan a copy of the 1916 version of the Royal Naval Air Service "Hydrogen Manual" and other information, including a part of the 1920 RAF "Hydrogen Manual". Shute's airship work was more than ten years later than the date of the RNAS manual from which I have obtained most of the following information, but it appears that there was little change in the techniques of generating and distributing the hydrogen over this period. The existence of independent manuals on this purely technical subject, ancillary to simultaneous new developments by the two services, bears witness to the extent of the enmity between the Admiralty and the other services during and after world war one. On looking at this material it becomes plain that the logistics of hydrogen supply made airship operation much more cumbersome than the operation of aeroplanes, and that the cost of providing the hydrogen must have been a substantial part of the operating costs. The R100 required more than five million cubic feet, costing £800 (say £35 000 in present-day values). The gas had to be fairly pure, since contaminants were generally 15 or more times as dense as hydrogen. Losses, mainly due to purging for purity and safety, could reach 50%. It seems from the manual that hydrogen in use could lose its lifting power due to contamination, and that some sites could remove and purify the gas. Small stations (presumably operating balloons) received gas in commercial cylinders. They were filled to 1800 psi and supplied 370 cu.ft. Some gas came from commercial suppliers, most from airship stations. The hydrogen installation at a large station had to generate the gas, purify it as necessary, store it, feed it to the hangers both for initial fills and for topping-up, and on some sites, refill cylinders. The demands for filling and topping-up airships were so different that separate piping systems were provided: 6 inch for filling and 2 inch for topping-up. Conventional low-pressure gasholders were provided to buffer the output of the gas generating plant, but the main storage was in a bank of large steel cylinders at 600 psi. Each cylinder weighed 6.5 tons and provided a useful capacity of 7500 cu.ft. The piping to provide these functions was quite complex, with many valves: care was needed in operation because of the purging requirements, the mixture of high and low pressures, and the explosion hazard. Until the end of world war two, the standard industrial method of producing hydrogen in large quantities was the 'water gas process'. Steam was reduced to hydrogen by passing it over metallic iron at a high temperature. The iron oxide produced in this reaction was converted back to active iron by water gas (a mixture of carbon monoxide and hydrogen obtained by passing steam over incandescent coke) . Gas purification was essential. Production costs were inherently low, but they could only be achieved by skilled operators running the plant as a quasi-continuous process. All reactions ran at high temperatures and big items of plant were required, including a boiler house and a large gasholder. The lack of flexibility, the large, complex and expensive fixed plant, and the need for skilled operation clearly made it unattractive to the armed forces. It appears that it was used only at a few large airship sites. The Royal Naval Air Service standardised on a more easily operated and flexible process: silicon was reacted with hot concentrated caustic soda solution yielding hydrogen and sodium silicate ('water glass'). The silicon was available commercially as 90% ferrosilicon (roughly silicon 90%, iron 3.5%, aluminium 5.5%). It appears that at that time this material was known as "Silicol", and that name was transferred to the hydrogen-making process. The generating equipment was simple, basically a stirred reaction vessel and a scrubber to remove steam and some water-soluble impurities. Use of commercial raw materials gave 99% pure hydrogen, and a high output could be obtained from a relatively small plant. Control of the reaction was said to be very easy. The standard small-size plant (2000 - 2500 cu.ft./hour) could be mounted on a lorry or in a ship. Batch operation was necessary because the sodium silicate by-product, together with material derived from impurities in the raw materials, formed a sludge which rapidly solidified in the reactor. Very large quantities of water were required for reaction, scrubbing and cooling, although much of this requirement could be seawater. This process was also used by the Royal Flying Corps/RAF and it was used to fill the R100 airship, an operation which consumed 432 tons of reactants and produced 929 tons of sludge. Gas generation, purification, and feed to the hangers would have been at pressures of a few inches water gauge, but local storage was at 600 psi, and cylinders for distant use were filled to 1800 psi, so compressors were needed. Where pressures no higher than 600 psi were needed the RNAS had standardised on the Reavell machine. This was a curious design. It was described as a 3-stage machine, but it also used crankcase compression. It was a vertically opposed machine with a single crankpin, having the intermediate pressure cylinder below the crankshaft and the high- and low-pressure cylinders in tandem above, using a stepped piston. It was said to eliminate some inlet valves, but it used a semi-rotary valve built into the enlarged gudgeon pin of the lp/hp piston. The machine was water-cooled, shaft-driven, and totally enclosed. Repairs must have been a great challenge to a mechanic in a field workshop. If pressures above 600 psi were required, a Brotherhood compressor was used. This was a 4-stage machine of conventional design; the one illustrated in the RNAS manual had a steam engine integrated with the compressor. Gas cylinders were becoming standardised, but the cylinder valves apparently gave trouble in operation, and they also suffered frequent damage in transport. The Admiralty had introduced at least two designs of its own. Permanent sites were able to check the quality of the gas as it was being fed to the airship or balloon by measuring its density. A continuous chart-recording instrument was under development. (This must have been difficult: no electric or pneumatic force amplification would have been available.) It appears that there were no facilities in the entire hydrogen installation for measuring quantities or flowrates. The medium and large size Silicol hydrogen generators had powered stirrer and feeder drives. Instead of the usual drive shaft, the power was provided by a built-in electric motor. This must have been an unusual feature in 1916. I would have expected that a hydrogen atmosphere in a water-cooled compressor would have been a near-ideal environment for lubricating oil, but nevertheless the lubricants available in 1916 could cause trouble through carbonisation in the Reavell compressor.